O. M. G. Seriously...Facial cleansing oil...where have you been all my life?! But here's the deal...like attracts like. Our skin is covered in...Oil. We need it for our skin to stay healthy, balanced and to do what it does and stay protected. 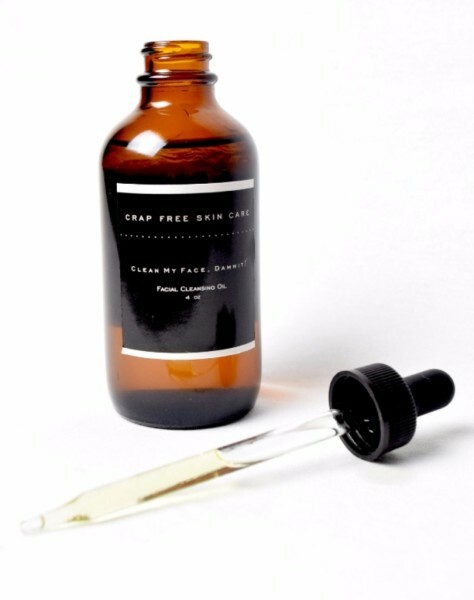 Cleansing oil essentially removes the dirty, crappy oil and replaces it with nourishing, glorious, "Crap Free" oil (complete with anti-aging, skin repairing, powerhouse essential oils), leaving you with soft, radiant, gorgeous skin. No stripping your skin of its natural oils or harsh chemicals. C l e a n M y F a c e , D a m m i t ! DIRECTIONS FOR USE: Massage, in a circular, upward motion, a quarter sized amount of cleansing oil onto dry face and neck. Work into skin for about a minute. Press face and neck with hot wash cloth. Gently wipe to remove. Follow with normal skin care regimen. Avoid getting into eyes. If so, simply flush with water.